Your Local Ex BT Telephone Engineer. With 30+ years of experience, specializing in telephone & broadband repair & installations, Charges a fraction of your provider & NO VAT. 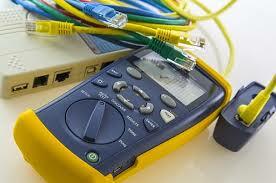 Telephone Engineers, Home & Business Services. BT Openreach Fully Trained Telephone Engineers offering home & business customers telephone & broadband fault finding / repair, telephone cabling & extensions, new sockets & general rewiring, & much more.. Our parts meet quality standards & internal / external wiring run discreetly where possible, all work undertaken is to BT standards or better. All charges a FRACTION of your providers & NO VAT ! 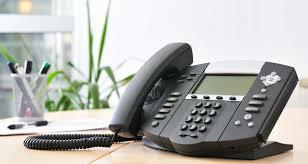 Repairs for internal telephone faults. Line diagnosed for internal /external faults. Charges a fraction of BT & NO VAT ! broadband speed investigation / repair, sometimes a dramatic improvement. Trustworthy engineer, friendly and reliable. External bells supplied & fitted. Underground cable fitted house to annex / workshop. Speak directly to engineer not a call centre *Fully trained telephone engineers providing you with competitive quote over the phone & all parts are the same quality as BT. All work left clean & tidy leaving no mess behind. 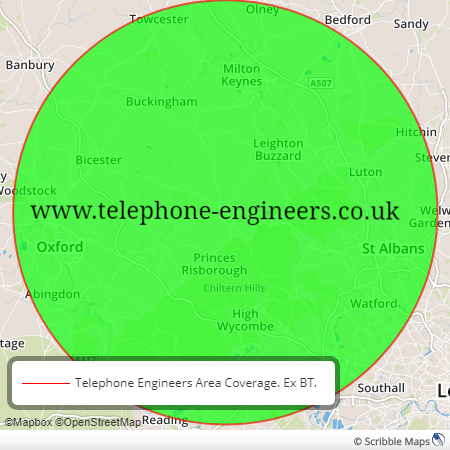 Telephone engineer Aylesbury, Wigginton, Tring, Telephone Engineer Great Gaddesden, Ex BT Engineer Berkhamsted, Berkhamsted, Telephone Engineer Cholesbury, Chesham, Telephone Engineer Chesham, Whelpley Hill, Ashley Green, Bovingdon, Flaunden & Chipperfield, Hemel Hempstead, Harpenden, Telephone Engineer Radlett, Bricket Wood, Kings Langley. Watford, Telephone Engineer Watford, St Albans, Rickmansworth, Chorleywood, Gerrards Cross, Telephone Engineer Gerrards Cross, Little Chalfont, Chalfont St Giles, Amersham, Great Hampden, Prestwood, Telephone Engineer, Telephone Engineer Little Missenden, Great Missenden, High Wycombe, Beaconsfield, Ex BT, Telephone Engineer Beaconsfield, Marlow, Telephone Engineer Beaconsfield, Stokenchurch, Marlow, Princes Risborough, Saunderton, Stoke Mandeville, Telephone Engineer Wendover, Aylesbury, Telephone Engineer Stone & Haddenham, Long Crendon, Chearsley, Cuddington, Thame, Wheatley, Headington, Oxford, Bicester, Grendon Underwood, Westcott, Waddesdon, Aylesbury, Wing, Leighton Buzzard, Stewkley, Steeple Claydon, Whitchurch, Winslow, Padbury, Buckingham, Tingewick, Great Horwood, Deanshanger, Stony stratford, Milton Keynes, Bletchley, Woburn, Woburn sands,, Houghton Regis, Luton, Dunstable, Redbourn, Telephone Engineers, Telephone Engineer Aylesbury, Ex BT. Buckinghamshire, Hertfordshire, Bedfordshire, Oxfordshire, Milton Keynes Telecom, Hemel Hempstead Telecom, Telephone Engineer Radnage, High Wycombe Telephone Engineer, Telephone Engineer Hemel Hempstead, Watford Telephone Engineers, Telephone Engineer Totterhoe, Eaton Bray, Standbridge, Whipsnade, Studham, Markyate, Dagnall Telephone Engineers.